I’m always on the lookout for ways to generate free energy. The simple truth is millions of Americans spend way too much money on power and if they knew how many different alternative and free energy solutions were out there they’d be shocked. Not just because these solutions work…but because in some cases they’re taking normal everyday devices and transforming them into the kinds of free energy solutions that’ll shape the future. I was reading a blog the other day and they said scientists have just stumbled on a way to turn urine into a free energy device. Read this to see how it works. An individual energy generation system has been developed that works by combining the force we apply when our feet touch the ground with urine-powered fuel cells, allowing engineers to generate enough electricity to send radio signals to a receiver. Professor Ionnis Ieropoulos of the University of the West Of England, Bristol put 24 flexible microbial fuel cells (MFCs) in socks with tubes that feed urine in and take the processed liquid out. The good news is, provided the MFCs and tubes don’t break, your socks and feet stay urine-free, although we’re still not sure there will be a rush of demand. The fuel cells draw on electrons released by microbes as they process food in an oxygen-free environment. Any organic waste can serve as their source of nutrients, so options even less pleasant than urine could be running through your socks, but urine is widely availalble and flows easily. 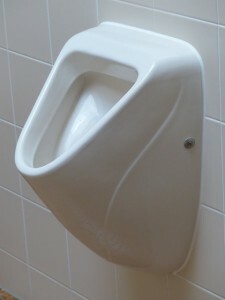 The system comes with a container that can store up to 648 millelitres, (1.37 pints) of urine, which the wearer can top up separately; you can’t add to the system while walking along. The walker’s energy pumps the urine, rich in the nitrogen and phosphorus microbes need, into the cells and then takes the used liquid back out again afterward. The design is based on the cardiovascular system of fish, the simplest closed circulatory system in nature. The electrical energy produced by Ieropoulos’ prototype was used to power a wireless transmitter that every two minutes sent a message to a receiver module. The work has been published in Bioinspiration and Biomimetics where the authors report: “The maximum achievable power is about 110 μW [microwatts].” This is a tiny fraction of even the smallest commercial solar cell’s production, but of course it works at night, in a cave, or in terrible weather. Further work might increase the power to the point where small electronic devices can be charged, although the paper acknowledges obstacles to stepping up the scale. Even though the system could save the life of a hiker lost in the wilderness, many might prefer to carry a solar panel or extra batteries. However, the technology is part of wider exploration of ways to extract energy from human waste in ways that could bring light to refugee camps. The MFCs cost just $1.50 (£1), and Oxfam is exploring their use in places where light is unavailable, with waste disposal as an added benefit. If the wearable version becomes popular, even as a gimmick, mass production could bring costs down further. And while that energy solution isn’t something you could rely on at this moment in time to save your life there are a few others that you could easily tweak and make work at home, or in a survival situation. While you might not be able to generate free energy using your pee just yet…you can get free energy from poo. I wrote about this in another blog post, but I think it’s important to circle back to. You can use the heat generated by compost to heat your home. The heat can warm up water which can then be circulated through your home to help keep it warm in the winter and fall. To learn more see my blog post here. If you have some terra cotta pots and some candles you can use the heat from the candles to heat a room. Here’s a cool video showing you how this works. The same way people use solar to turn the sun’s rays into useable forms of energy plants use the sun’s energy to keep themselves fed and to help them grow. However, the plants end up wasting some of this energy, meaning there’s potential “free energy” out there for use. And dutch scientists have used that free energy to power smaller electronics like power Wi-Fi hotspots, cell phone chargers, and even streetlights. The researchers anticipate within a few year they might have a product you can “plug in” to start generating free energy from plants. If you can’t afford to wait for that then relying on solar is a great way to get some free energy into your home. Some people generate so much free energy they actually receive rebates on their power bill, literally seeing the dollars in their bank account going up, up, up. I posted this blog post about getting free energy with a snow shovel based wind mill and it was one of the more popular posts I’ve written. With a few pieces of equipment easily found in the hardware store you can build a windmill that’ll generate a fair amount of energy that can be used in SHTF situations. And if you’re looking for a great, portable energy solution let me recommend the BioLite camp stove. 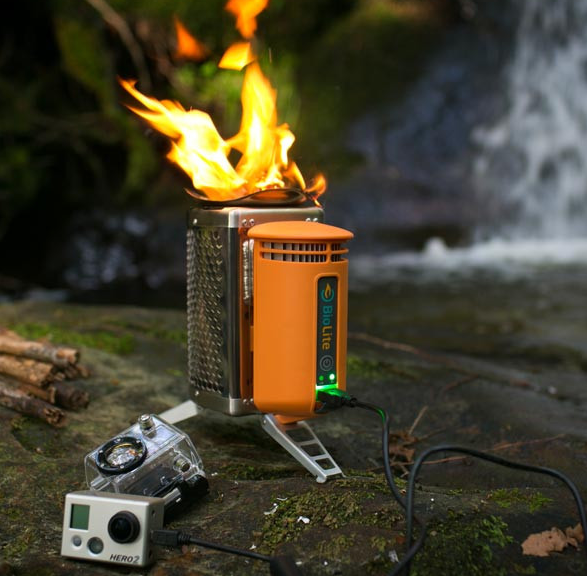 This lightweight and portable stove burns natural and organic material and then converts it into energy to charge small electronics (like phones, tablets, cameras, etc). It’s great for camping, backpacking and emergency situations. Click here or on the image below to learn more about this stove and to see a cool video showing you how it works. This entry was posted in Alternative Energy, Camping, Homesteading Tips and tagged alternate energy, camping, compost on December 23, 2015 by Survival Frog. I purchased a Biolite Stove to have in case of a power outage. It’s cold here in SW ID, 10° with snow, crunchy snow all around. I find your blogs very interesting but cannot open and view videos. My cellphone doesn’t have the capablities to do so! Thanks for all your great information. You’re welcome Jacquie. Please make sure to share this with friends and family you think would benefit from our articles. The more people we can get on board the better prepared we’ll all be.